Affnan's Aquaponics: Aquaponics never look this good. 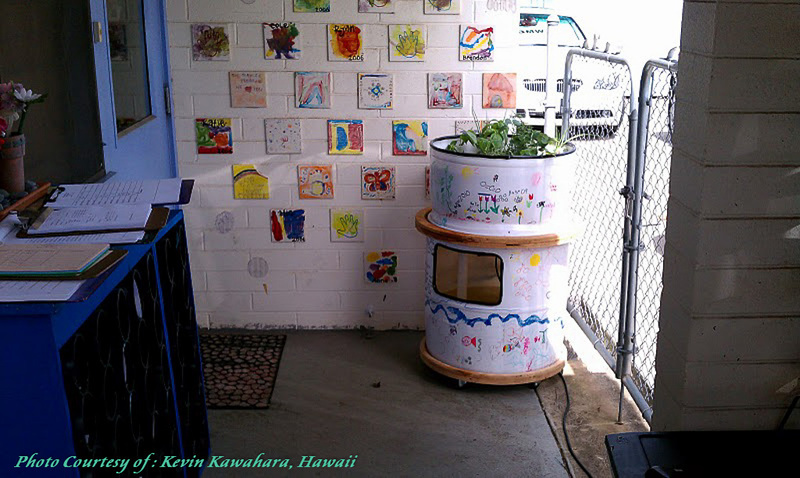 Received a message from Kevin Kawahara in Hawaii, on an Aquaponics Single Barrel set that he made for his kid's preschool as below. I already have orders from the school for more to keep at the school. Thanks for all your information! What can I say, in one word its "Beautiful". 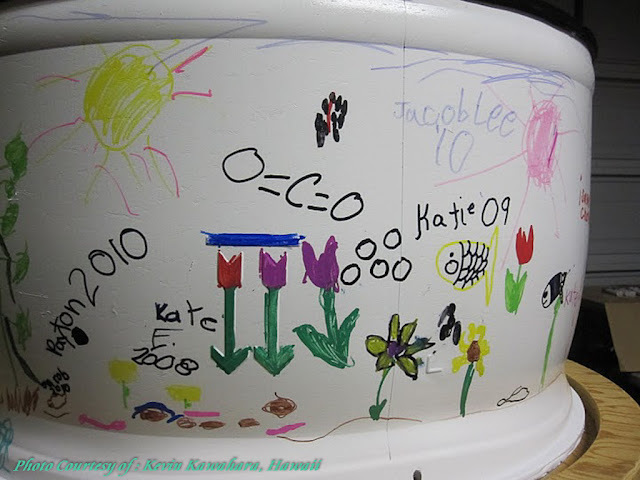 Made for a preschool in Hawaii called "The Toddler Program" for their fundraiser auction. 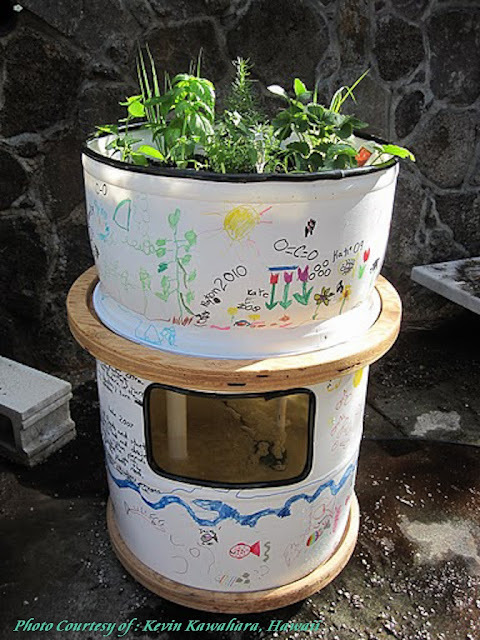 It use a barrel cut to make a growbed and fish tank with castor base and nice graffiti on basics of Aquaponics. 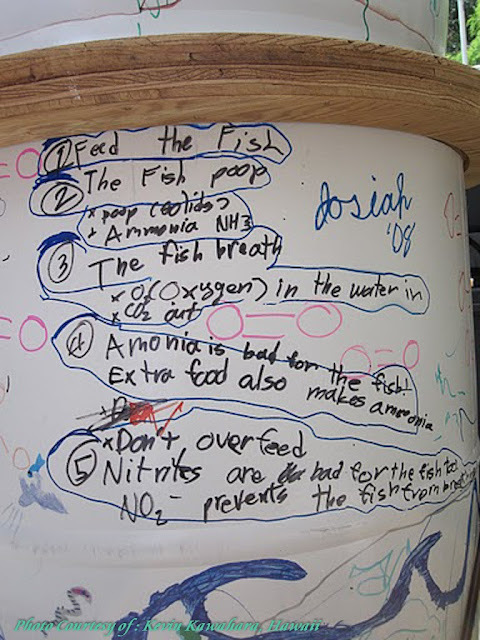 Great for kids, and probably a good way to introduce Aquaponics to their parents too. A white colour barrel, this is something vary rare to find. The colour make it blend in with the decor nicely. Its wonderful to see some of my work being put to good use, especially when its done for school and charity. 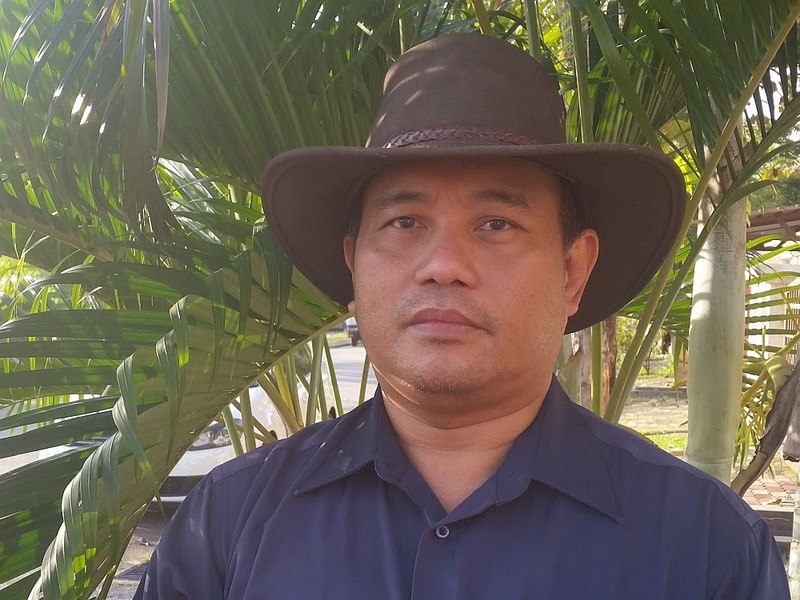 There are more photos at the link he provide or check out his facebook by his name. Very nice. 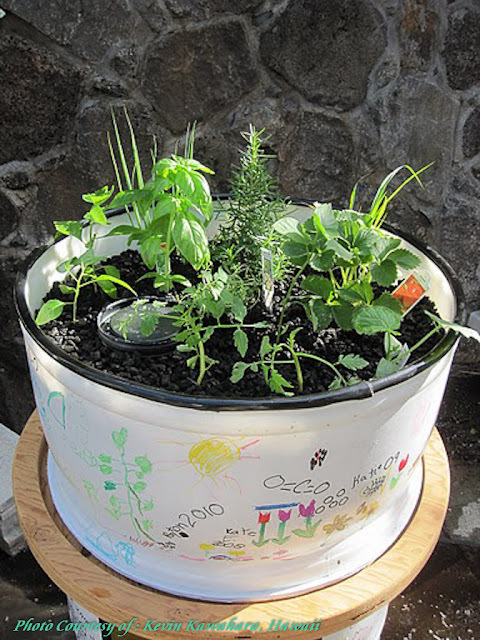 It is always great to see children excited about things that grow. I get some much entertainment watching my 7 year old girl with all of the baby animals we have had around the farm, and how interested and excited she becomes when something she plants germinates and first starts to come through the dirt. I can only hope that my children will remain interested in this learning and development process. It is a very good thing to be involved in children's education and learning experiences.